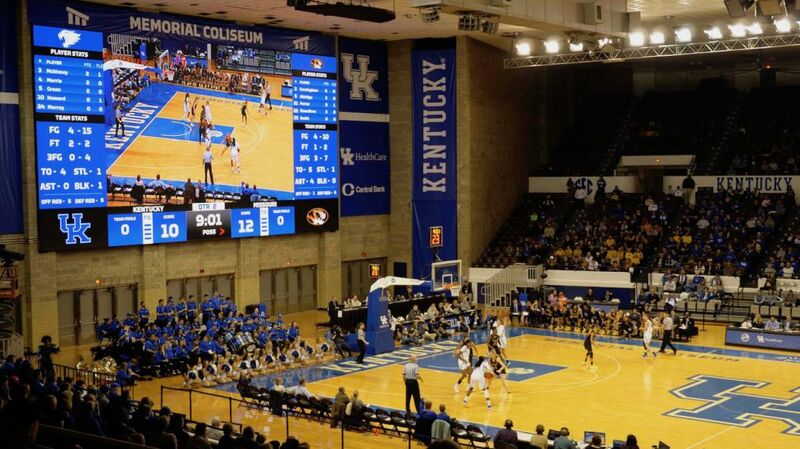 A new dual-LED display solution powered by Renewed Vision software is now driving all scores, player statistics, live video, and instant replays for women’s sports at Memorial Coliseum, home of the Kentucky Wildcats NCAA women’s basketball team. Formetco Sports, the systems integration division of LED display maker Formetco, Inc, managed the custom design and integration of the end-to-end systems inside the gymnasium on the campus of University of Kentucky in Lexington. Formetco Sports installed Renewed Vision’s ProPresenter Scoreboard and PVP3 multi-screen media server software to drive game-day displays on two new Formetco displays: A 60-by-30-foot Formetco LED video scoreboard, and a 3.5-by-100-foot ribbon board. The integrated Renewed Vision workflow interoperates with existing control hardware and software, including Stat Crew, a scoring and statistics application from CBS. The Renewed Vision workflow also utilizes NDI IP video networking to deliver multiple video and data signals from a single network interface, and eliminate multiple SDI components and cabling from the infrastructure. The main LED video scoreboard—a video wall filling one side of the gym—primarily receives live video feeds and instant replays from a production switcher and instant replay systems in the existing control room. 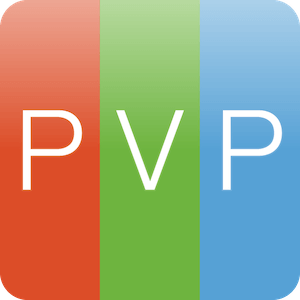 PVP3 arranges each display into zones earmarked for certain content, such as advertising, game stats, and crowd prompts like “Great Play,” “Match Point,” or “Ace.” With strict rules prohibiting the display of moving video during game play, the PVP3 user interface adds value by allowing operators to switch from moving to still imagery with a single click. The ribbon board, which runs 100 feet along a wall opposed of the main LED video scoreboard, primarily displays statistics and scores for women’s basketball, volleyball, and gymnastics. The workflow utilizes ProPresenter Scoreboard to ingest scoring, game clock, and in-progress game data in real-time from a Daktronics scoreboard console/controller, as well as XML-formatted player data, live and recorded video, and other sources for big-screen LED display. 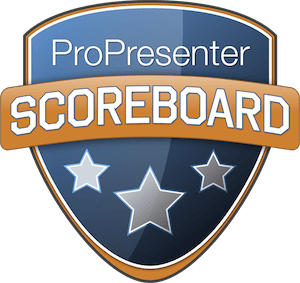 ProPresenter Scoreboard expands the video playout, graphics and CG text, and other live presentation capabilities inherent in the ProPresenter media presentation software on which it’s based. The PVP3 media server ingests the data from ProPresenter Scoreboard and combines it with live and/or recorded video, backgrounds/stills, and other visual content. PVP3 operators can also harness its more sophisticated video toolset, including digital video effects and graphical transitions, and manage control functions. This includes adjusting brightness, and switching displays on and off. Furthermore, PVP3 enables composition of dynamic, multi-layered high-definition presentations that can be custom-tailored for playout to each Formetco screen with enormous, creative latitude. According to Heller, the integrated Formetco and Renewed Vision solution is UHD and HDR-capable, allowing operators to present higher resolution content at any time. Scoreboard and PVP3 reside on the same Mac to further streamline the infrastructure, and all video, text, data, and other media content move in and out of the two Renewed Vision systems via an NDI IP-based video network. NDI’s cost-effective networking requires only a standard gigabit Ethernet connection, eliminating the need for costly and cumbersome SDI routers, switchers, and cabling.